School fees at 28 Catholic schools in Sydney's northern beaches and northern suburbs will rise significantly next year after education authorities raised fees for families living in "wealthier" areas, The Daily Telegraph reports. Ten north shore schools will be affected by the fees hike, including schools in Chatswood, Pymble, Wahroonga, Lindfield, and St Ives. Letters sent to 6000 northern Sydney homes this week revealed fee rises of up to $1200 a year for secondary school students and up to $800 a year for primary pupils - an average increase of around 19 per cent. The Catholic Schools Office at the Diocese of Broken Bay blamed the fee hikes on changes to school funding flowing from the Gonski education reforms, which were adopted by the former Labor government. As a result of the changes, fees are based on the "capacity to contribute . . . of each individual school community," wrote Peter Hamill, director of schools for the Catholic Schools Office in the letter to parents. "Schools whose parents live in higher SES (socio-economic status) suburbs are expected to make a greater contribution", Mr Hamill said. 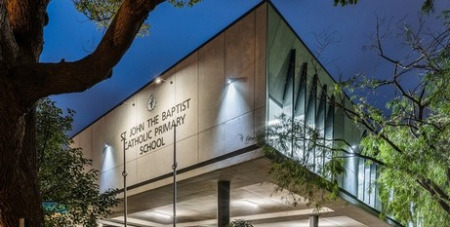 At St John the Baptist Catholic Primary School at Freshwater, parents of students in Years 5 and 6 will pay $703.68 more a year or $17.59 a week, taking their annual total tuition fees to $4310.68 from next year. Parents of K-4 pupils will pay $669.06 more a year or $16.73 a week, a rise of about 19 per cent to $4075.06. Mr Hamill acknowledged the rises were "several times greater than what would normally occur in any one year". "I apologise for the added burden that the tuition fees may pose for families and for the timing, especially for new families who may have been advised by schools in good faith that fees would be lower. "School principals were only recently made aware of the need to expand differential fee arrangements". The Gonski Review of Funding for Schooling "recommended changes to the way that Australian schools were to be funded," Mr Hamill told parents. The changes in the Broken Bay dioceses will hit 24 primary schools and four secondary schools.